DRIVE OR WALK UNDERWATER !!! 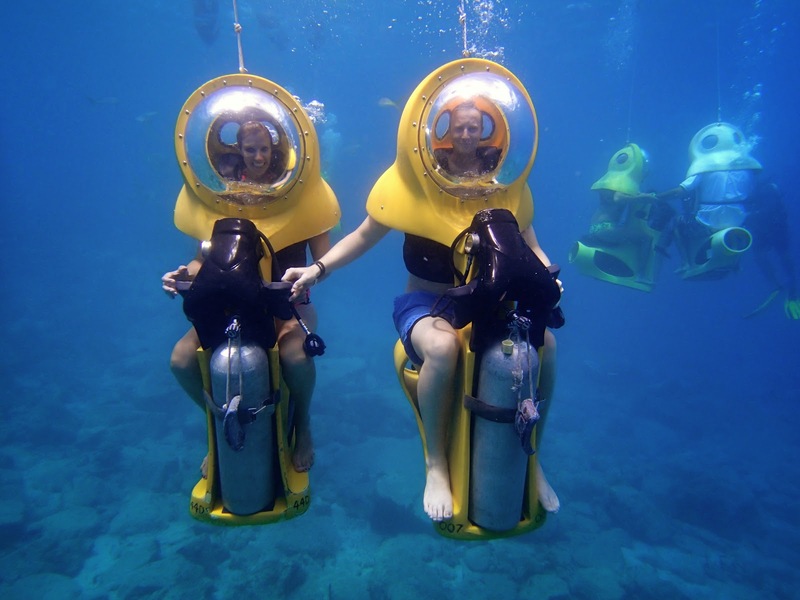 An exciting and unforgettable experience you will always remember, take the opportunity to stroll along the seabed in over 3 meters of clear turquoise water. Not only can you observe the sea life as it swims around but you also have the opportunity to feed the fish! There is a constant supply of fresh air pumped into the helmet and there is no restriction, regulator or snorkel causing you discomfort or anxiety. We have been operating in the Protaras, Ayia Napa area since 2003. 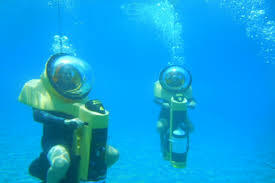 We are the only undersea walking operation in Cyprus and in 2008 introduced the sea bob (underwater vehicle) in Protaras/Ayia Napa. It is a truly unique experience, very safe and great fun for all the family.